At Robert E. Lee High School, the traditional fundraising event is Slave Day, in which the student leaders and faculty are auctioned off as slaves for the winning bidders. Keene Davenport is outraged and plans to stay home to protest this racist practice. But his mom won’t let him skip school, and he finds that none of his classmates took his protest seriously. So instead he decides on an alternative path of civil disobedience—he will “buy” Shawn Greeley, the school’s first black student body president. Told in eight alternating perspectives, Slave Day is a powerful novel featuring beauty queens, geeks, class clowns, and football players—and none of them will come out of it the same. 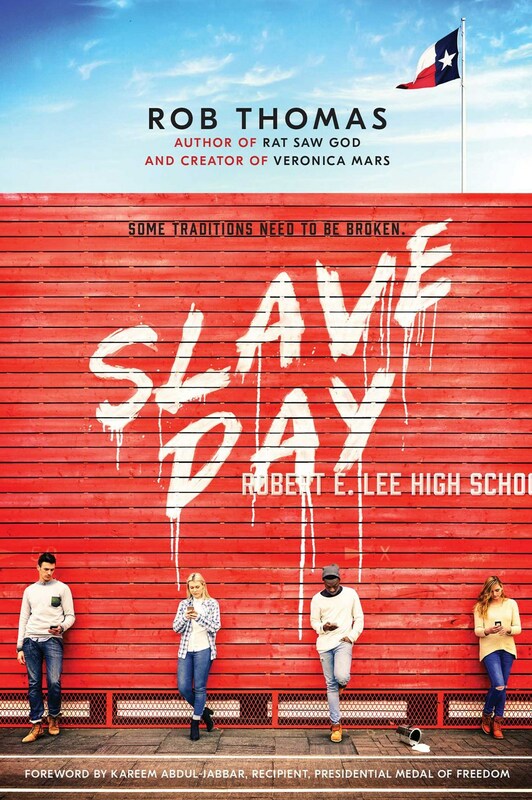 This entry was posted in Book Attraction and tagged @RobThomas, Slave Day, Slave Day by:Rob Thomas.